The haulage and logistics business is among the most lucrative business. But many people don’t engage themselves in this business because it is considered risky with a capital intensive nature. Are you interested in learning how to start a trucking business from the scratch? Do you need a detailed sample of a trucking business plan template or feasibility study report? Then this is just what you’ve been looking for. The trucking industry, share similar fundamental and technical factors all over the world. So while Nigeria will be used as a case study in this article, the lessons/information can be applied anywhere else; whether in the United States, Canada, India, Australia, U.K, etc. In our current dispensation, the trucking industry is one of the biggest businesses in the world. As a matter of fact, in the United state alone, the trucking industry produces over 300 billion dollars of revenue a year. In Nigeria, haulage business and even logistics is a billion dollar business with an insatiable market. This is because transporting goods across long distances has become a necessity and an important industry. No matter, the industry you find yourself, bulk goods must be transported to and fro (both raw and finished goods), which makes the haulage industry, a very lucrative one. Below is a step by step guide to starting your own trucking business. Your Personality: You should be concerned first about your really want to do. Sometimes, it’s not too good to go into a business for the money alone; a passion for the kind of business that you are doing would help you to cope with the challenges and drive you to succeed. Although profitable, Haulage is Laden with a lot of risks and challenges. Hence, you need a strong mind and determination to run this business successfully. You have to be ready to deal with dishonest drivers, shady mechanism, accidents and all sorts of challenges that are certain to come up at some point in this business. To succeed in the trucking industry, you must select a niche, because it is very broad. There are different niches in haulage business and the niche you choose would determine the type of vehicles you would need and you start – up costs. Will you be engaged in transporting bulk goods or would you be leasing trucks to businesses in the transport industry? Will you outsource you truck to a trucking company or would you rather put your truck on a hired purchase? Are you going to have short or long distance? If you are to go into transportation, will you have solid or liquid goods? These are questions that must be answered before you set out to start your own trucking business. If, for instance you choose petroleum products haulage, what you would need is a petroleum tanker and you would have to register with an oil company or work as a sub- contractor with an already registered company, but if you want to go into building materials haulage like carrying of sand, cement and granite from quarries to construction sites, what you would need is a tipper or along. For the trucking business, you need capital and lots of it. Your start-up capital will largely depend on the size of the fleet, you are intending to own. 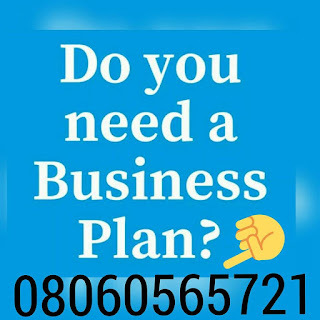 It is therefore important that you write a business plan and have a clear idea of how much, you would need to start the business and weigh your savings to see if you can afford it. You need to ask yourself, if you would buy new trucks or used trucks. The ways with which you can get your trucks are either through purchasing them outright or getting them on lease. You can also consider to look for subcontractors. It’s agreed that the first investment is quite huge, but you can easily get it back provided you make the right management decisions. If you do not have enough capital to start and want to check out other financing options, you have to consider first your credit worthiness and eligibility for borrowed funding and whether you have collateral security for the funds you wish to borrow. You also have to look into interest rates on the loan and compare it with your projected earnings from the business to be sure that the business would still be profitable even after paying off such interests. Some financers are ready to finance your project, if only you can convince them. The major financing option available is leasing. On a general note, equipment leasing is seen as a usage agreement between an equipment owner, known as the lesser” and a user of the equipment called “the lessee”, whereby the lessee remits to the lesser a periodic rental fee as compensation for the usage of the equipment. The manner in which a leases reviewed and utilized varies considerably, although there are two major forms which are finance lease and operating lease. Finance lease is the most common type of lease in Nigeria and the rest of the world substantially. This type of lease transfers all risks and benefits of ownership to the lessee while the lessor still retains title to the equipment, which may eventually be transferred. Operating lease on the other hand, is the type of lease where a substantial part of the risks and rewards incident to ownership are not transferred to the lessee. Operating lease encompasses the short – term line of equipment such as trailers, motorcars, barges or boats. Leasing provides the lessees the opportunity of payment over a longer period than with most other forms of financing. This provides the lessee with the opportunity of reducing financial commitments particularly in terms of stress. For starting the haulage business, another important factor that has to be given serious consideration is the legal requirements. You would be required to obtain various licenses and permits and you would also be presented with a set of rules and regulations that must be adhered to. An extensive research should also be conducted on what these rules are and adherence to them has to be ensured. Insurance: A lot of risks are involved in the Haulage business. You would be dealing with expensive mechanize which do not belong to you and would have to be conveyed to it’s destination safely. Putting the fact that you would be traveling over long distances to deliver those goods into consideration, it is impossible to predict the things that may or may not happen along the way. Accidents may occur, cases of theft may arise, dishonest drivers may sometimes direct the goods else where and this would lead to a huge debt on the part of the haulage company. This is why obtaining insurance for your haulage business is very important policies, and the premiums you would be required to pay and compare it with your projected earnings to determine viability of the business. Another important factor to look into when starting a trucking business is your management strategy to handling payload and clients. A good management team is very necessary to running a successful trucking company. Inexperience may lead you to employing a manager who is experienced to oversee the day to day affairs of the business and run the business profitably. Your management team has to be experienced in the transport industry; especially with truck management. Another important aspect of running a trucking business is your accounting process. You can buy an accounting software for your business to make things easier. As you could also place your vehicles under fleet management comparies who would manage the vehicles for you and pay you an agreed sum monthly. Employees; You have to think about the drivers first because use they are the life wires of haulage business? It professional drivers who would be interested in working with you to promote the business, because your driver can make or mar your business. After the drivers, you must think of the marketing and administrative staff too. If your plan is to start a small – sized haulage business, you may be able to handle the administrative and marketing functions yourself but for a larger sized comparies, you may have to employ staff to support with administrative and clerical duties as well as marketing and promoting the business. You need to know who your clients would be, what their needs are and how you would reach them. First you need to choose a niche, then write down a list of companies or prospective clients in that niche and devise strategies which you would use to reach them. You need to know the types of goods you are planning to transport. Whether you will haul solid, liquid or gaseous substances you have to know if you are going to haul durable goods or perishable goods. Each type of freight has their own set or requirements, so it would be best that you decide or this before you even open shop. The types of cargo you will be able to carry will determine the types of clients you will work with. You also need to present yourself well, for the sake of your clients, in order to get the hauling contracts you need. You also need to think of ways to beat your competitors and brand your business so that it can stand out from others in the industry. No matter the size of your business; your outlook matters a lot. So you don’t have to ignore working on image and brand. Present your services, the cost of providing the services and other added advantages or benefits that you think can make them sign up with you. Once you get the contract, provide quality service, so that they will be enticed to keep coming back. Depending on the agreement, you have with the haulage company, some off them would marriage your truck for you, employ the driver and a motor boy and help you do all the major and minor repairs. Your only requirement would be to go to their office and collect your money at the end of the month. The trailers can conveniently make as much as N500,00 to N600,000 in a month, but all the expenses listed above has reduced the monthly take home of the truck owner to between N350,000 to N400,000 in a month. Maintenance: Maintenance issues will always arise, and when they do, you would need the right maintenance services to put the vehicle back in order again. You would need a very good mechanic to handle repairs of your vehicle. This is necessary because the level of maintenance and quality of servicing your car receive would go a long way to promote the life span of your vehicles. You should find a competent automobile we pair companies or technicians who can handle repairs of your vehicles. There could be people, who would be willing and able to provide 24/7 services and who would be willing to trend over long distances in case your vehicle breaks down on a trip. For people who own fleet of vehicles, it is more economical and advisable to employ an in house mechanic or team of mechanics to handle maintenance and repairs of your vehicles. Transport business in Nigeria is a old as the nation itself, and there contributed in a big way to the business have been known to country. Transport plays a crucial role in most business activities Efficient transport is necessary component in the production and distribution process, which is commonly referred to as supply chain logistics. Nigeria has the largest road networks in West Africa and the second largest, South of the Sahara, with roughly 108, 000km of surfaced roads. The current paralysis of the rail system in Nigeria, has made road transport, the only effective means of conveying heavy goods from one point to another within the country. The population is there and the environment is good. This explains why the road haulage business is one of the most lucrative businesses to start in Nigeria today. Road haulage involves the transportation of manufactured consumer goods, raw materials, machinery, petroleum products, and natural resources from one point to another. Starting a haulage business is synonymous to starting a valid fire. The returns are enormous, but it greatly depends on what your truck will be doing. Haulage is a broad area and all spheres of haulage have its specific intricacies, the good news is that it is not so difficult to learn. This involves starting your own haulage company, operating your trucks, having your drivers and hunting for contracts from companies that may require your services, and the riskiest. For instance, if you have a fleet of 5 trucks to start with, each truck can fetch you N500,000 or more in profits per week, depending an the capacity of the truck, the number of trips covered per week, and the distance travelled per trip. For a truck, traveling from lagos to Onitsha, you will charge about N250,000. After deducting the cost of fueling and other routine measures, (which will be a round N100,000), you will be left with a large N150,000 profit, and that’s just for one trip. If the same truck does 3 to 4 trips per weeks, that’s a weekly profit of between N450,000 and N600,000. You can now imagine how much you would make monthly of you have 5 trucks of the same capacity. You can decide to haul products for oil majors like Total, Oando, Con oil or Telecoms comparies like MTN, Airtel, Etisalat, Glo, etc. However, all these companies have stringent entry procedure and requirements, so your option going in as an individual may mean merging with some other persons in the business. Though the idea of starting your own haulage company is very attractive, due to the huge profitability of that option, though there are certain risks involved, just as in the case with any other profitable business. Below are some of the risks, and downsides of haulage business. Running the business as a Contractor or Subcontractor. In this model of haulage business, you will be serving only one client, usually a multinational or big manufacturing company. The company will be incharge of all your trucks as wells as the process of lining and paying drivers. At the end of each menth, the company will pay you an agreed amount of money, which ranges between N350,000 and N650,000 – depending on the number of trucks you have. An interesting fact about this business is that if is properly set up, all you need to do is relax and wait for your monthly earning, which can be up to N800,000 (depending on the type, age and tonnage of your truck). You will need to think properly, before adopting this model, because you will be subject to certain terms and conditions stipulated by the company, you register with (of course, you will be required to register with the company). This model is similar to running the business as contractor or sub – contractor. But the difference is that you will be sub- contracting with a haulage company. Here, you will also enjoying the benefits that come with sub – contracting with a multinational or manufacturing company. More Tips for Running a Trucking Business Successfully. Often, drivers travel at night, an holiday and weekends to avoid traffic delays and to deliver cargo on time. Truck drivers have to cope with a variety of working conditions including variable weather and traffic conditions, boredom and fatigue. Many truck drivers, however, enjoy the independence and lack of supenision found in long – distance driving. They collect 10% of the money they make in every trip which makes them earn as much as N100,000 in a month. BUYING A TRUCK OR TRAILER. A brand new trailer cost between N15m to N20 million at Leventis and UAC, while you can get a fairly used truck for N6 to N 7million. Some of the fairly used trucks are imported from Belgium, Germany, and United Kingdom. You can also by a trailer head and refurbish the engine to standard; in total, if can cost you between N3 to N3.5milion. a trailer Tanker cost between N3 to N3.6million. Road Haulage is obviously a huge industry with many and various opportunities for anybody that is interested to invest in it Almost 90% of the traders on our road are second hand and they are still ok. If you don’t want to spend a lot of money, you can decide to rent the back which goes for N30,000 a month. You will need to pay for for 4 months, which is N120,000. Tippers carry granites from Quarry to different part of the country. Any investor in this type of business is adviced to register with the Quary, they make 2 trips everyday and they charge between N30,000 to N35,000 per trip. A good tipper cost between N4 million to N5million, and you are entitled to about N400,000 in a months, if you can give your tipper to a manager to manage for you. Apart from the issue of capital, the trucking business is management intensive. Another challenge militating against the success of trucking business is bad roads. The issue of bad roads results to unnecessary repairs, maintenance and accidents/hazards. The last but not the least challenge of starting a trucking business is getting good drivers. The “face” of your company, is highly dependent on the type of drivers you employ, so make sure you hire drivers that are equal to the task. You have to check their references and background; and make sure that they’ve not taking any illegal, drugs. Hiring a terrible driver or being involved in an accident, is going to be a disaster; not only to the finances of your company, but also to your brand image. Therefore recruit wisely. In conclusion, the trucking industry is quite a tough terrain to break into, but the reward is worth it. Congratulations; on your ambition to win one of the fastest growing businesses in Nigeria and the entire continent. I appreciate this, and am happy there are website like this in Nigeria, I have long search for this. thank u so much. Transport(Goods Haulage), Transporter of any kind of Goods or Materials, General Supplier, Contractor/Commissioner Agent. I read your write up starting a haulage business particularly in Nigeria. It was quite informative and instructive. Please i will be appreciative if you can oblige me with a more comprehensive information on this line of business and any other similar line of business that will require moderate initial capital outlay. Thanks in advance for a favourable consideration of my humble request. This article is highly informative and educating for those that want to ventures into the logistics business in Nigeria. There are good opportunities for this business with handsome returns on investments.